If you are having an issue with Karbon, sending us your system information will help us solve your problem faster. 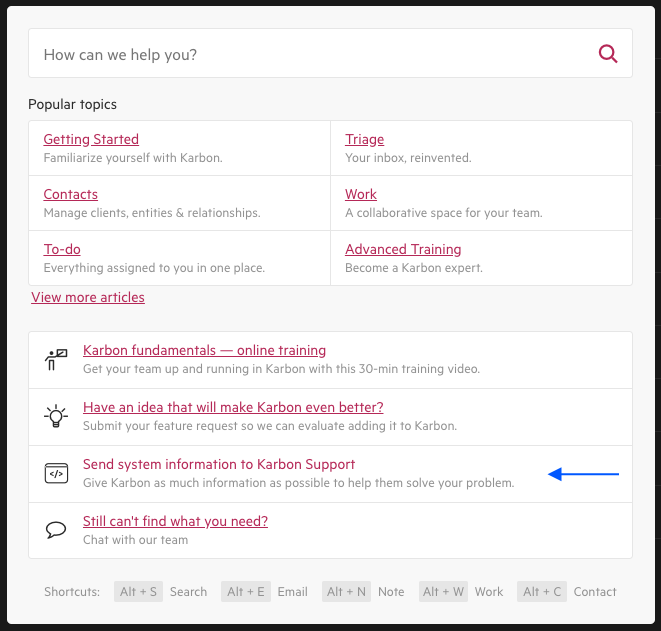 If you are having an issue with Karbon, you can choose to send your system information, which will help your issue get solved quicker. Before doing this, please chat with our support team through Help & Feedback. To send your system information, choose this option from the Help & Feedback menu. Your system information and browser logs will be then sent to Karbon engineers to assist with diagnosing your issue.